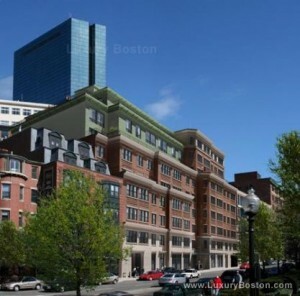 Just to give everyone a little perspective on the current condo market in Boston, MA, here is a true story….Thursday, a new listing at the Bryant Back Bay came on the market for $1,794,000+$140,000 for a second garage space. Well, based on the feedback, the auction sale prices are in the rear view mirror. Saturday there were 5 showings, Sunday Open House had 16 groups come through, Monday morning saw 5 more groups come through and unit went Under Agreement Monday afternoon. Lesson Learned: The luxury condo market is heating up FAST. For units to be flying off the market this fast in early February is a pretty clear indication that the Spring market is going to be very strong. Buyers need to be ready to act if the right opportunity presents itself. *The best advice we can give you is to find a good Buyer’s agent, preferably from LRG;-), who will monitor the market on a daily basis and notify you when your ideal home comes on the market. $13.04 per $1,000 of valuation for Residential. If you think your home is assessed to high, you can always file an abatement with the City. The proper forms can be found by clicking here. 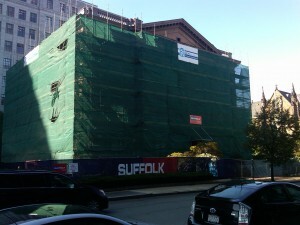 After Louis of Boston vacated 234 Berkley St., for it’s new home in the trendy Seaport Area, the building quickly began to erode. The wonderful detail slowly crumbled and everyone in the Back Bay began to wonder what would come of this flagship retail space. There were rumors of a boutique hotel and even luxury residences. Well, now we have our answer!!! Restoration Hardware, a very popular California based luxury furniture company has signed a lease for the 40,000 square foot building at the corner of Boylston and Berkley. At Luxury Residential Group, we feel it is a perfect fit and will be an amazing compliment to the neighborhood. Luxury Residential Group LLC is excited to announce that after 8 long years, and down economic cycle, Kensington Tower will be breaking ground on Friday October 14th. The $172 million project will be located at the corner of Washington and LaGrange streets. The complex will offer 381 luxury rental apartments as well as a club room, a rooftop pool(Finally a luxury building with rooftop pool) landscaped terrace, a fitness center and ground-floor shops as well as underground parking. We will have more information on leasing terms, incentives and pricing as they become available. 12:58 am 9/16/2011 – It would appear that a fire of some sorts has broken out on Washington Street in Downtown Boston. A large number of fire trucks, police vehicles and ambulances sighted at The New Emerson College Dorm/Paramount Theater on Washington Street. Lot’s of water on the street, and students evacuated. Stay tuned for updates. Luxury Residential Group’s offices at 355 Boylston Street in Boston, MA just felt the effect of a 6.0 magnitude earthquake that was centered in Virginia. The Prudential Tower was shaking as well as other Boston high rises. It kind of rattles the nerves a bit but no damage has been reported. Wonder what that row of bicycles are on the corner of Arlington and Boylston just across from the Heritage Condos and Four Seasons? 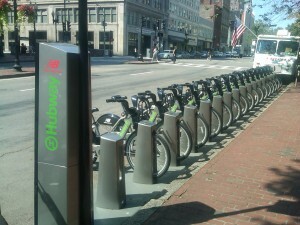 It is a new Bike sharing program called Hubway or http://www.thehubway.com/ which is sponsored by New Balance . It is indeed an interesting “Green” concept that is primarily based on a trust system. The site explains the system more concisely but the overall gist is a clean, healthy, alternative to cabs. In all, there nearly 600 bikes at 61 stations around the city(Station Map Here). There is a annual membership fee of $85 which is reduced to $60 as a special introductory price. Below are the usage fees and explanation of how they are structured which we got from their site TheHubway.com. The bikes themselves seem pretty indestructiblebut this writer has concerns that vandalism(angry cabby’s perhaps? ), injuries and irresponsible riders may cause some headlines in the near future. The old saying, “Bring your checkbook” is more relevant now than ever. Boston Rental Market hits an all time high. We often see 5 or 6 applications on the same apartment after one short day on the market. Recently, I find myself apologizing all the time while I say, “I promise I am not just saying this, and I know it sounds cheesy, but if you want this property – bring your application and check in hand and be ready to turn it in…” I hate sounding like I am being pushy, but any bit of hesitation, and you can lose a place. I hate that Realtors are not the most respected or trusted of professionals. I have heard us being compared to used cars salesman. I assure you that not all Real Estate agents are the same. Making things worse right now, is the fact that the rental market here in Boston is out of control. Unfortunately though, if people don’t trust our judgment, they are finding themselves without a place to live. There just isn’t that much available, and things are going quickly. It sounds cliché coming from an agent to say it, but if you don’t act quickly on something you like, you will not get it. I have actually had a client lose a property even with the check and application in hand and even with an insider’s recommendation and help! It is NOT a renter’s market right now. I am finding some properties to be $200-$500 more expensive per month this year over last year. Specific areas are especially difficult – like the desirable South End and Back Bay areas. The competition is intense for a great place. There just isn’t a lot inventory and there are a lot of people searching with very similar requirements. Last year at this time, luxury buildings were paying full broker’s fees and offering incentives like “one month free”. It is incredible what a difference one year can make. The sales market isn’t too shabby either. I have had bidding wars on properties in the South End, and have seen properties go “Under Agreement” in days. I completely understand wanting to compare and contrast and feel that you have seen everything that is out there before making a decision. It is difficult to convince a client to jump on a place, especially if they haven’t seen a lot of places. However, given the market, if you find something you like, you may want to swipe it up quickly because if you don’t, someone else will. 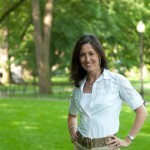 If you ever thought about buying an investment property in Boston, now would be an ideal time. Rates are low and rents are high. 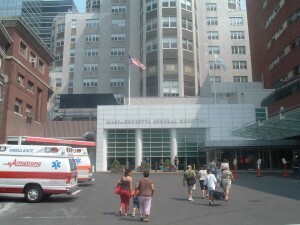 Out of the 5,000 hospitals that were evaluated, Boston, MA has two(2) (#2 Massachusetts General Hospital and #8 Brigham and Womens) in the top 8 of the newest 2011 poll conducted by RTI International. Hospitals were ranked based on their expertise and “competance” across multiple specialties. *The rankings were produced for U.S. News by RTI International, a leading research organization based in Research Triangle Park, N.C. Be sure to add your own fact-gathering to ours; no hospital is best for every patient. Do you know why Boston…..? © 2009 Luxury Residential Group LLC, All Rights Reserved. Powered by Neutrino, Inc..